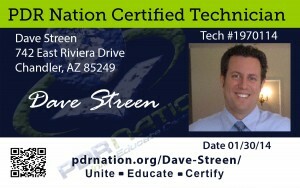 Dave provides a breath of fresh air to the PDR industry. He is a real professional, and is always helpful. I am so glad we have developed a friendship. Dave brings years of experience to this industry. Keep up the great attitude, and work Dave your awesome.